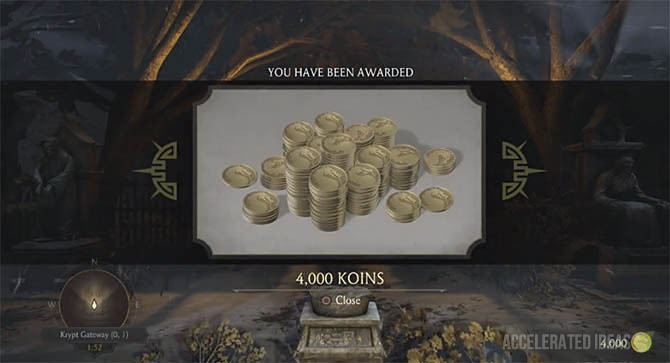 Koins are the hard currency in Mortal Kombat X that can be used to unlock secret items in the Krypt. Players always seek to earn Koins as quickly as possible, using the most efficient farming methods so in this post I'll be explaining how I earn Koins quickly with the hope that it helps you too. As you may know, there's a variety of ways to earn Koins in MKX with an emphasis on consistent game time and performing impressive feats. This can include simple things such as winning matches, pulling off combos and unleashing a final Brutality, but also levelling up, improving your Special Move rank and unlocking hidden secrets will give you bonus rewards too. These are of course my opinion and I'm sure there are others. If you've found a good one just leave a comment below to help others out. When you first play MKX it's worth investing an hour or two in the Krypt. Not only can you earn coins through normal matches but you also gain bonus Koins throughout the Krypt. All graves ask for an upfront Koin amount before revealing their content but many will reward you with several thousand Koins, more than enough to outweigh the cost of opening the grave in the first place. To save you time, check my Krypt guide for the exact location of many of these Koin graves. In addition to bonus Koins from graves you can also earn 50,000 Koins by finding all of the Krypt inventory items and opening all areas of the map. Again, check my Krypt guide for the exact location of these items and the puzzles - you'll find that you can enter the Krypt with zero Koins and come out with 50,000 after just an hour. Lastly, Krypt jump scares will reward you with anywhere from 250 to 500 Koins per successful kill. Make the most of these before you unlock the entire Krypt because they stop appearing after that. Picking from all of these, the Invasion Boss is the best chance to earn Koins very quickly. 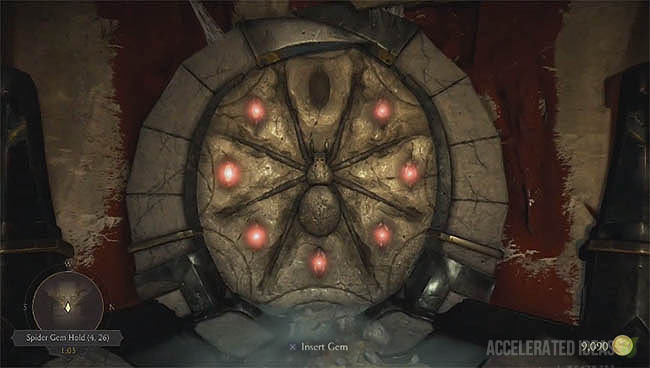 Currently the Invasion Boss is Mileena (but this will change over time) and the difficulty is so high that you'll be lucky to survive more than 20 seconds. But that doesn't matter because even losing the challenge will still reward you with 200 koins for only 20 seconds work - one of the fastest conversion rates in the game. If you do manage to survive the full 30 seconds then you'll be rewarded with 300 Koins which is an incentive to fight well, but most of all the training you'll gain from the boss fight will serve you well for any online matches which won't even come close to this difficulty. There's no Fatality opportunity for the opponent, so no way to slow the final defeat down. Apart from the Boss Fight there's also a War Tower and Invasion Tower, both of which offer rewards of around 500 Koins for completing the challenge. This is a fair amount of Koins, certainly better than Klassic Towers, but when compared to the Boss fight it's a much longer process and thus less efficient. 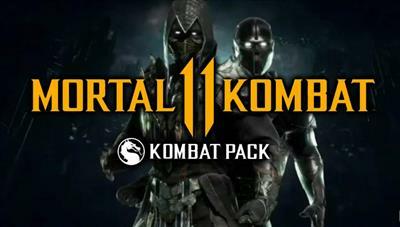 The Kombat Kard is such an important part of the game but is commonly overlooked. I covered some of the Player Kard in my other article which explained how to change costumes but I'll go into more depth here. As you play Mortal Kombat X you'll unlock new Backgrounds, Icons and Borders. Icons can easily be found in the Krypt but Borders and Backgrounds are usually unlocked by levelling up, which in some cases is specific to your actual character. For example if you look at the screenshot below, you'll see that I've reached a higher rank for Royal Storm which is a variation of Kitana. So playing consistently with a particular character is beneficial to this process. As you scroll through the list of available Backgrounds, Icons and Borders you'll notice that there are items for increased XP, Faction XP and others for Koin rewards. The Koin rewards are the ones you want to focus on so make sure they're selected and appear on your Kombat Kard. Now as you play the game you'll be earning more Koins per match. I'm currently using items which reward me with 100 extra Koins for a Fatality and Match Win. Thus a guaranteed gain of 200 Koins per win because Fatalities are so easy to pull off. Along the way also try and concentrate on your Special Moves and stick to a particular Variation to unlock more Backgrounds and Borders for increased bonus rewards. Finally, to make all of this work you've got to win fights so play the Klassic Tower and reduce your difficulty down to Very Easy and whizz through the fights. Or for experienced players you might want to go for something like endless and practice your skills against harder opponents. Certain areas of MKX come with a chance to reduce the difficulty, making the opponents completely stupid or insanely hard. The best example of this is the Klassic Tower which can be started in Very Easy all the way up to Very Hard. Other challenges in the Klassic group don't offer this selection, such as Endless and Survival which get progressively harder as you work your way up. If you want to make your Kombat Kard work for you and are interested in pulling off large combos and Brutalities then playing Klassic Tower on the Very Easy setting is a great way to earn lots of Koins. The downside to this method is that you'll soon get bored because the opponents offer little in the way of a challenge - but that's typical of farming. All of the Living Towers (Hourly, Daily and Premier) include Dragon Challenges which are fairly easy to pull off. These random challenges are also random in the sense that they only appear in certain fights during the Tower, which you won't know until the little challenge bar appears at the bottom of the screen. Some Living Towers offer multiple challenges giving you the chance to earn 1000+ bonus Koins in a single Tower attempt. Each challenge will reward you with 500 Koins which is a nice bonus while you rack up the Koins from your Kombat Kard. You can also repeat the hourly Living Tower every so often for a nice refresh of the challenges.